We encourage you to try our new IWB Booking Engine plugin code. This new plugin allows you to insert a Booking Engine Search Bar on your webpage. Instructions for this plugin are not currently found on our website. This new method utilizes the same AJAX scripting methods used by Google and Facebook for their analytics and social plugins. The advantage is that your booking engine code is integrated directly within your webpage (i.e., browser problems associated with frames or other incompatible code are eliminated). So, you have total control over the content on your webpage, and the user experience is greatly enhanced. This new plugin also features improved personalization options, allowing you to switch variables to modify the color and orientation of your Booking Engine Search Bar. We encourage you to try our new Booking Engine Search Bar. Simply drop it into your webpage. It’s easy to modify the variables to achieve a different look and feel for your website. LinkedIn is excellent for professionals to promote their businesses. But what about hotels, hostels, and bed & breakfasts? Many don’t know is how effective it can be for both marketing and SEO. The key to LinkedIn successful marketing is to set up a complete user profile. There are many sections within LinkedIn that enable you to enter targeted keywords and promote yourself as not only an accommodation manager, but also as an expert in the tourism field. Name and Headline – Show your full name. You may be able to establish yourself as an expert in the accommodation industry. So, use your full name to increase searchability. Headlines should include your name and accommodation name. Summary – Summarize your experience and specialties. Include specialties of your property. Market your accommodation along with your personal expertise. Including targeted keywords in the Specialties section increases the searchability of your profile. Experience – Import your resume if possible to fill out this many of the sections within your profile. This not only makes completing your profile easier, but also enables you to review the final result for more accuracy. Make best use of any opportunities to include keywords or language promoting both you as an expert, and your accommodation’s best features and services. Skills & Expertise – LinkedIn allows 50 separate skills and expertise phrases. Take advantage of this to enter keywords or phrases to enhance SEO. Groups – Join LinkedIn’s groups, which allows you to interact with others in your tourism and accommodation profession. But, also take advantage of the opportunity to create your own group. This will enhance your own credibility, and the notability of your hotel, hostel, or bed & breakfast. Groups are one of the main items that come up when people search the site. Definitely maximize the visibility of your web presence by including your Website link and your connections. Instead of just showing the link to your website, LinkedIn allows you to place keywords as anchor text to your site. So, don’t show just http:///www.myhotel.com, show your anchor text as “My Hotel”. Connections won’t help directly with SEO, but they are absolutely important in helping you with ill definitely help you with online marketing. People sometimes forget that LinkedIn is not just a business site, but is still one of the most visible social media sites. Get your profile to work for you by connecting with others in tourism and travel. Form alliances with complementary businesses, like transportation companies that can provide benefits to your customers. Grow your connections by including people from past jobs and work experiences. Follow these examples, and you can very quickly establish yourself as a tourism industry expert on LinkedIn. This will also be a very effective tool for both SEO and your overall marketing effort. For more information on how Instant World Booking can help you maximize the productivity of your online marketing effort, send an email to info @ instantworldbooking.com. Feel free to send your comments. There are many reasons to choose IWB for your Booking Engine. We offer more deposit options than other services. We can collect any deposit level you want from your guest, up to 100% up front. In addition, we can set it up to collect no deposit, but still provide you with the credit card billing details for confirmation. If you’re going to maintain availability on Instant World Booking, it makes sense to consolidate your services. The other services are alright, but have definite limitations. Here are some examples. With some booking engines, it takes up to 5 steps for the guest to complete a booking. This is too long, and some users will be put off by it. Our Booking Engine will provide a much cleaner user experience, and get the guest’s booking confirmed quicker. Second, other systems may not be multi-lingual or multi-currency. Ours is. This is a big drawback if you’re presumably accepting bookings worldwide on your website (which is a must these days). If you were to use our Booking Engine, you’ll certainly get more international bookings, the one’s your current Booking Engine is probably losing. As a hotel, B&B, or hostel, you may receive a notice from Instant World Booking that “Paid” Translations are available for your property information. This means that either your translated material is out of date, or that more language translations are available for your property. Automatic translations are an important and unique service of Instant World Booking, not available from other providers. Each property already gets a few translations at no cost. But, increasing your translated content can maximize your online exposure and help gain an international audience. Updating your translations more frequently will also ensure that Google and other search engines refresh your content in their index. Update your content now in 15 languages for only $ 9.99. Just log in to your profile at our website, and check that your property information is up to date. Then, proceed to the ‘TRANSLATIONS’ page. Purchase your paid translation, and we’ll handle the rest. There’s no limit to the amount of content that we’ll translate for you, so make sure your property information is completely filled out. For a price this low, there’s no reason to wait. There are more reasons why translations are so important. If you’ve updated your profile recently, your translated material may now represent old or inaccurate content. With additional translations, you will also gain placement on many more pages, which is important for web rankings. For example, most properties have placement on at least 15 websites in our network. If you purchase paid translations to 15 languages, then you automatically get 225 (15 x 15) distinct pages on our network, versus only 15 pages if you only have English material. Finally, you may use your translated information for multiple purposes. Once we translate your material, you can copy it to your own website, marketing material, and also other booking sites. There are no limits on how you may use your translated material. Get your paid translations now. A hostel owner in a major Spanish city-center, who was re-evaluating his business plan, asked his manager to revamp back-office procedures to save costs, increase efficiency, and grow marketing efforts. All this was in preparation for anticipated growth for the next 5 years. After considering the objectives and making several changes, the manager eliminated 6 online booking sites, citing duplication of work for few reservations. Some of these booking sites were free and others had fees. 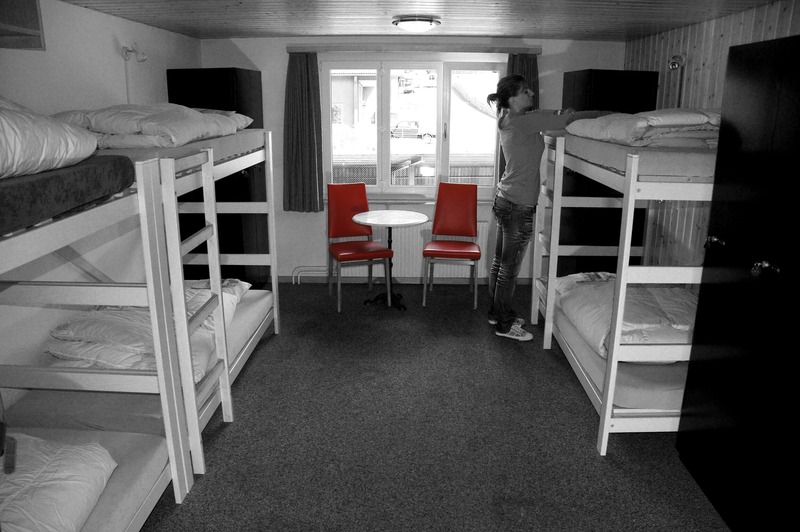 Within 4 months, reservations from the remaining online sources, including the hostel’s own website, had declined by 39%. At the same time, the hostel owner had contracted a professional SEO (Search Engine Optimization) firm specializing in travel to advise him on their online marketing strategy. Following another 3 months of falling internet reservations, and receiving the business plan from the SEO consultants, the owner fired his manager. Yes, online marketing has a “cumulative effect”. This means it’s more effective to advertise your property on 2 websites than 1, and better to advertise on 3 rather than 2, and so on. The “cumulative effect” is even more valuable if the source of advertising is costless. Here’s how it works. Persistent online presence of your brand name is necessary to achieve name (brand) recognition, and to gain higher search rankings for pages containing your property’s name. Studies show that when your property (brand) name appears on multiple websites, Google and other search engine rankings for that keyword goes up. It doesn’t matter if the source website is generating reservations or direct revenue for you. Just by appearing there it’s multiplying your keyword effectiveness. What’s more, if you actually have back-links on 3rd party websites (like IWB gives you for free! ), this has a direct impact on the page rank (PR) Google assigns to your website. Knowing this, would you ever call up all the websites, blogs, and social media sites out there that mention your brand, and ask them to “remove those comments”? We don’t think so. If you’re still not convinced, consider that any free publicity, in fact almost any website in the world that mentions your property or brand name, is increasing the overall effectiveness of your online marketing strategy. If it’s free, never give it up. So, don’t only list with Instant World Booking. We even recommend you go out tomorrow and sign up for 5 additional online marketing sites, as long as there’s no cost. Not only does Instant World Booking offer a better and more flexible solution than HostelWorld.com, but we’re already a lot cheaper. Don’t overpay for a booking engine on your website! And, in addition to our lower rates, Instant World Booking is offering a special promotion for up to $200 back when you switch today. Send emails to targeted opt-in subscribers/guests to increase sales and repeat visits. List your site in search engine friendly web directories to increase the amount of links pointing to your site. Add a blog to your website, and take advantage of the SEO and other marketing benefits that blog marketing has to offer. Write content articles about your accommodations, area, and local businesses. Also virally promote in article directories. Social advertising on Twitter? Every hotel needs social advertising as part of their online strategy. Is your site listed where the guests and customers are, in online directory sites or shopping sites for your local area. What about other content driven web sites with content geared toward travel in your region? Sending targeted redirected expired domain web traffic direct to your site. If you can check off each item on this list, traffic to your hotel website will certainly grow.